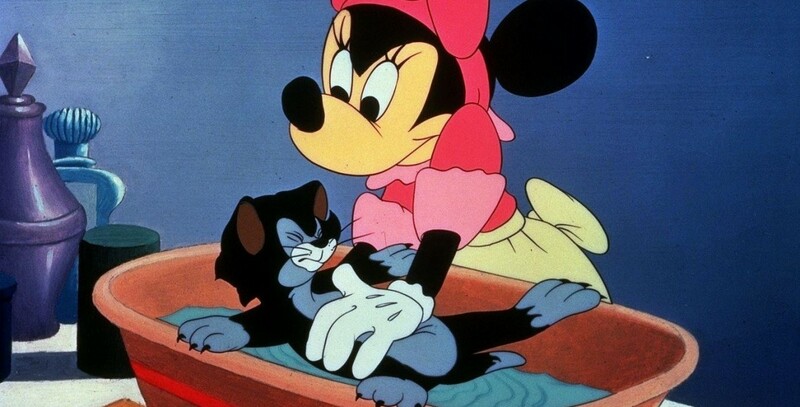 Bath Day (film) Figaro cartoon, released on October 11, 1946. Directed by Charles Nichols. To his displeasure, Figaro is bathed and perfumed by Minnie. An alley cat, Lucifer, and his gang chase Figaro for being so prissy. The gang is fooled into thinking that Figaro has beaten up Lucifer in an alley, hidden from their view. Figaro returns home victorious, but the victory is short-lived when Minnie decides he needs another unwanted bath.